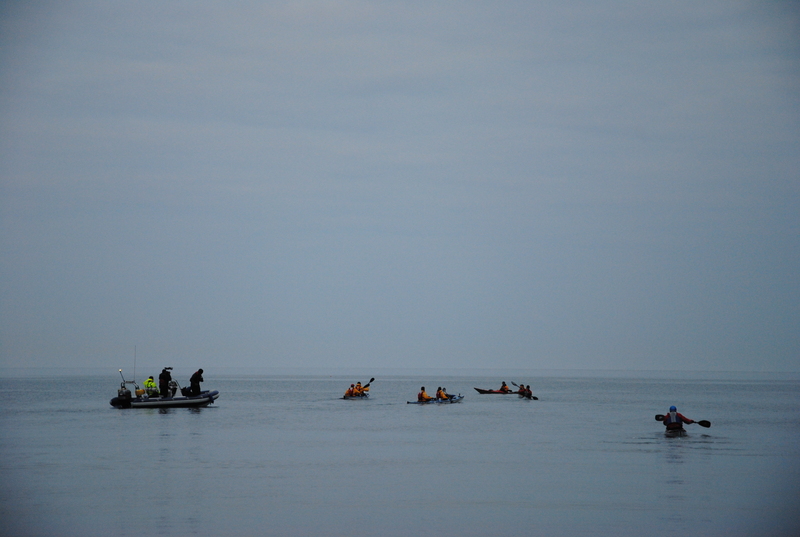 There was great support for the team as they left from Anglesey this morning and even with such an early 5am start it was inspiring to have our friends kayak out with us into the Irish Sea. 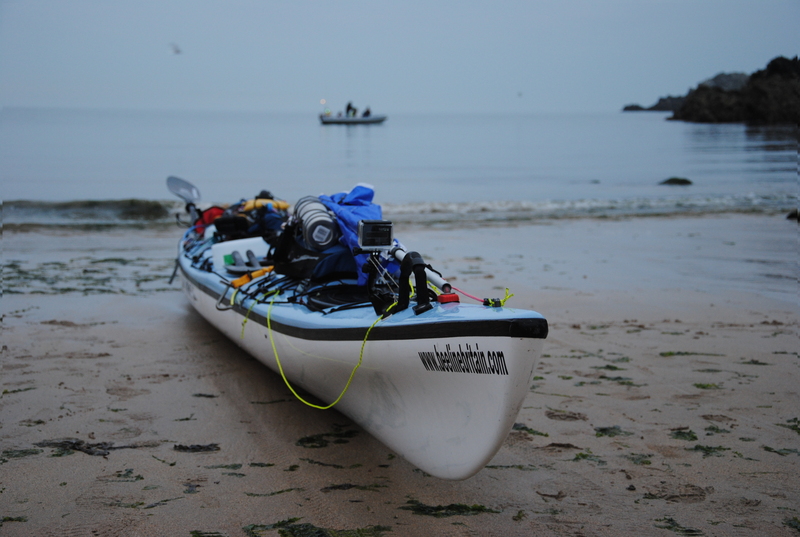 As you are probably aware from the social network’s by now, we are kayaking our way to the Isle of Man. The northern tip of the Isle of Man is halfway between Lands End and John O’Groat’s in a straight line! The team are planning to arrive into Port St Mary’s later this evening and it would be fantastic to have even more of you down there cheering them in to their next finish line. As you know all of this is in aid of the fantastic cause of BLESMA and we would all love to be halfway towards our target of £20,000 by the halfway point of the Isle of Man. Tomorrow they will be around Port St Mary’s until 11am, so if you want to come and meet this robot-like team and see their fantastic kit, here is your perfect opportunity! They will then cycle the entire length of the Isle of Man so they can reach Point of Ayre later tomorrow evening. After what may be a whistle stop tour of the Isle of Man another kayak leg will see the team travel from Point of Ayre to south Scotland on Monday. Here they will be reaching the Isle of Whitworth and the immovable straight-line journey will continue. Spread the word, everyone on the Isle of Man or in Dumfries, do your bit and tell everybody you know about us. 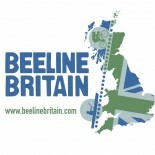 Donations can be made to the team in person or any of the support crew, online using your debit or credit card at www.justgiving.com/beelinebritain or by texting “Line59” and £5 to 70070. 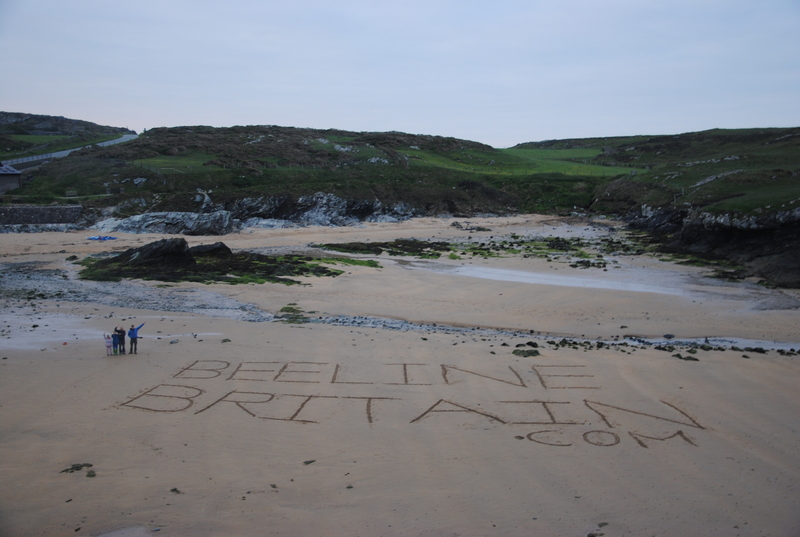 This entry was posted on May 31, 2014 by beelinebritaincrew.